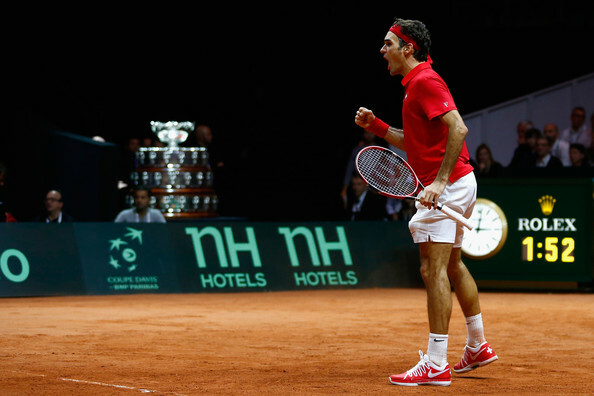 Roger Federer added another achievement to his illustrious career as he comfortably defeated Richard Gasquet 6-4, 6-2, 6-2 in the first reverse singles as Switzerland became the 14th country to win the Davis Cup trophy. 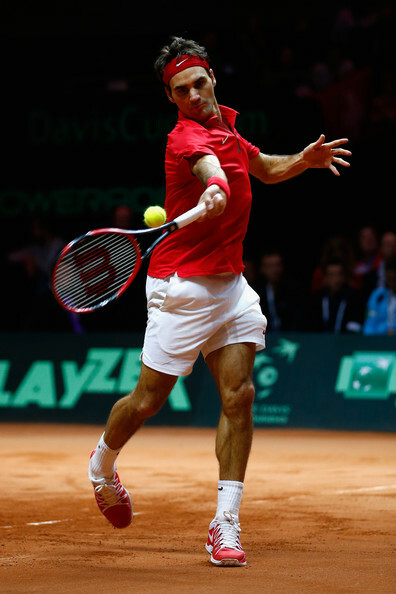 Jo-Wilfried Tsonga was scheduled to play in the first reverse singles but he pulled out & the French Davis Cup captain Arnaud Clément decided to replace him with Richard Gasquet. 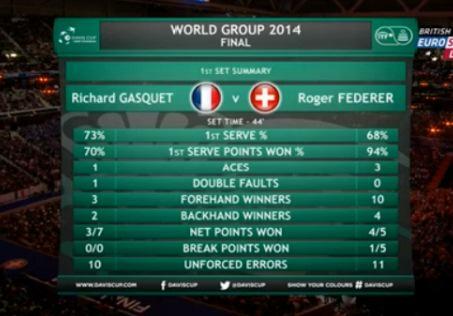 Federer who had won 12 of his 14 matches against Gasquet before this match looked in complete control. 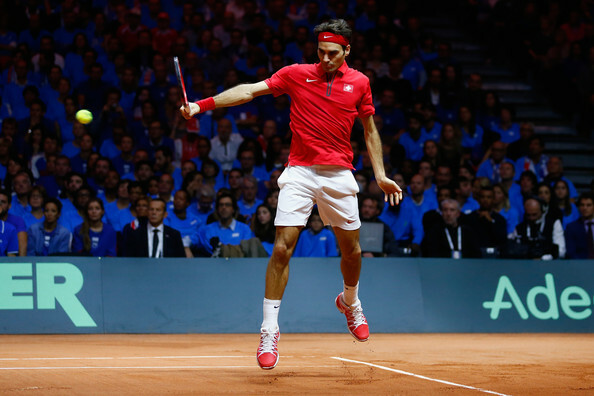 Not only his movement, his backhand, his forehand on the stretch, his service, his volleying all looked to be in the 2014 form. 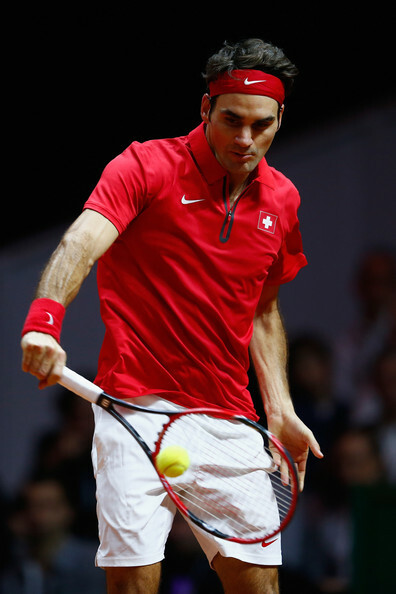 Federer looked faultless throughout the match. 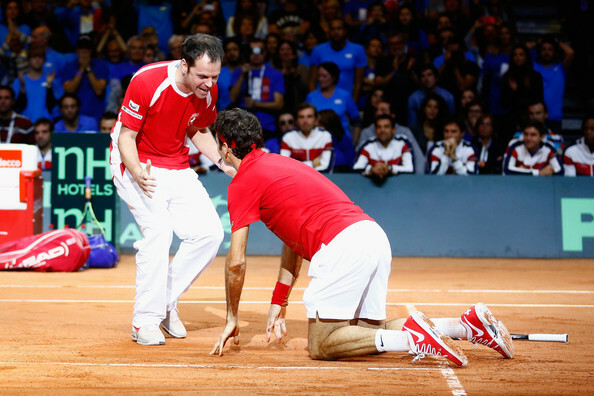 Gasquet on the other hand tried his level best but he couldn't match Federer as the Swiss maestro was determined to finish the tie. 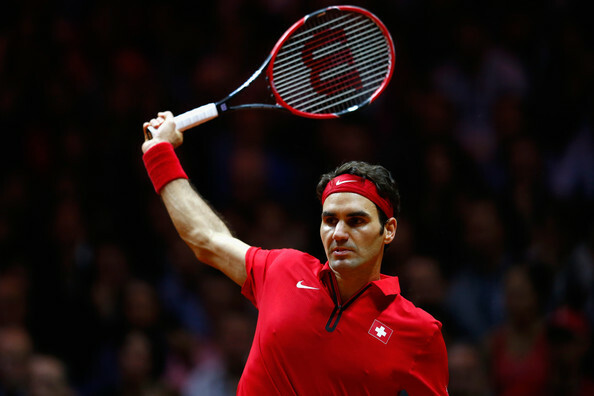 Federer broke Gasquet's service in the 5th game and that one break of serve was enough as Federer won the 1st set 6-4 in 44 minutes. 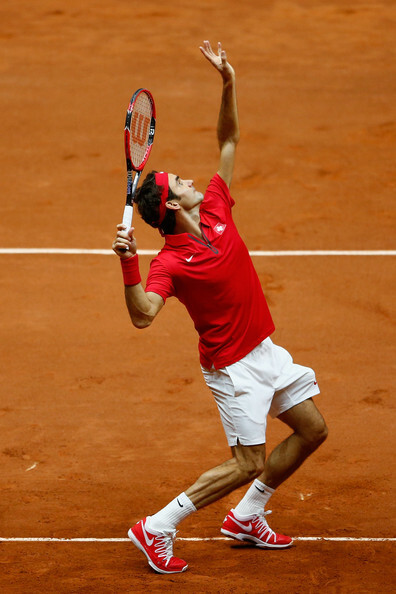 Federer didn't face a break point in the second set as well. 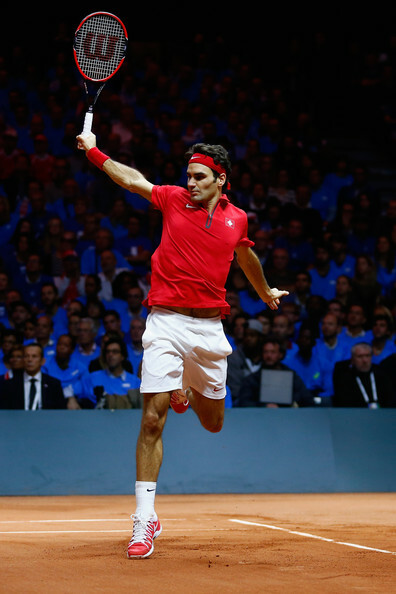 He broke the French man's service in the 4th and the 6th game to win the second set 6-2 in just 25 minutes. 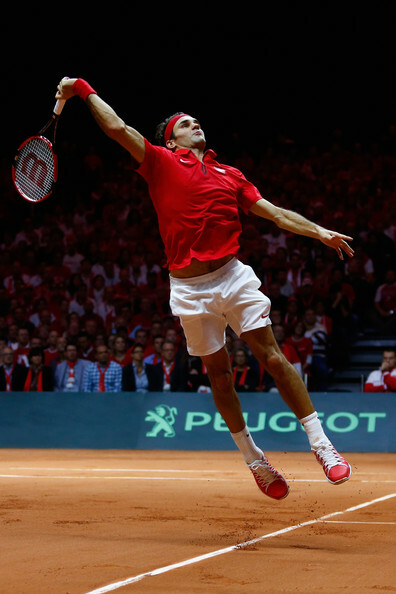 The Swiss maestro once again broke Gasquet's service in the 5th and the 7th game and comfortably ended the match in the 8th game winning the 3rd set 6-2. 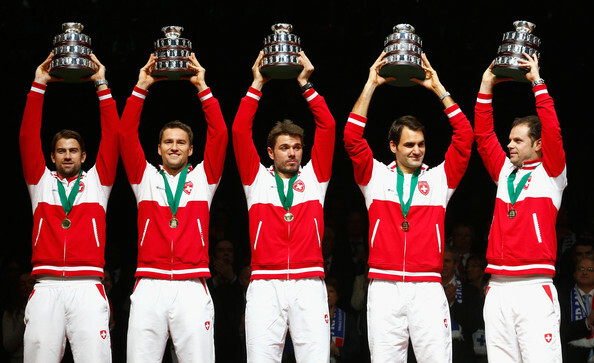 "This one is for the boys." 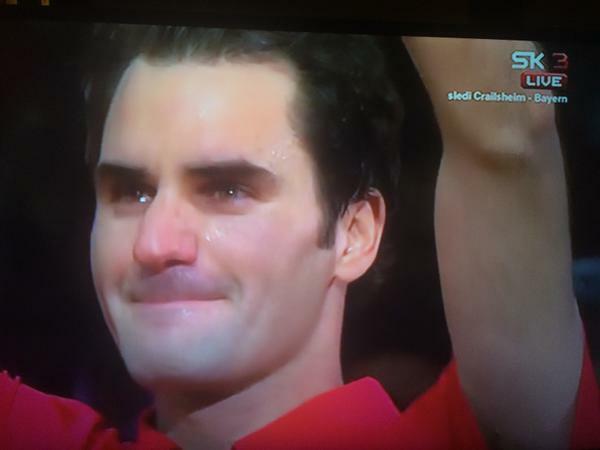 said Federer, who was in tears. 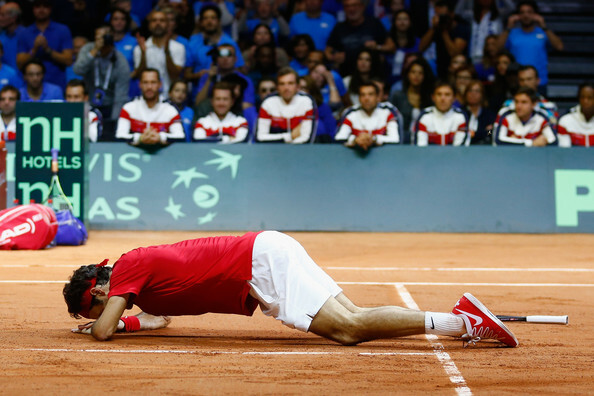 "This is not for me, I have won enough in my career. 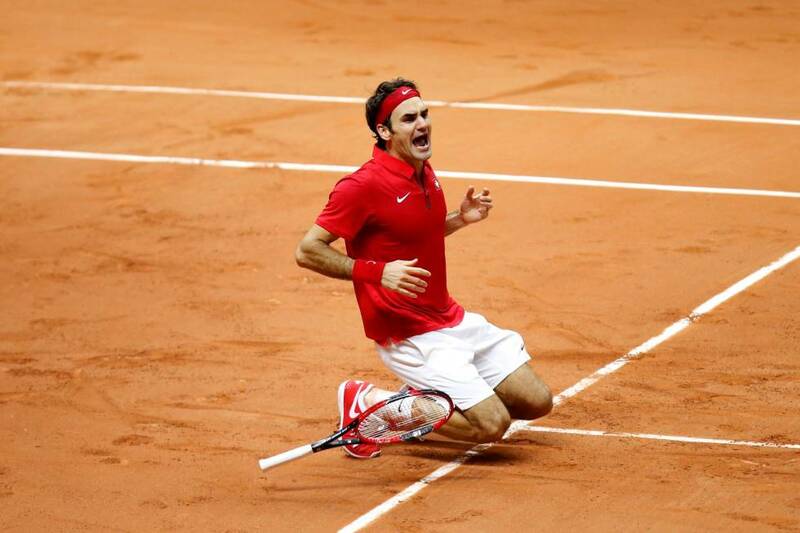 I am just happy for everyone else and we can give everyone a historic moment in our country." 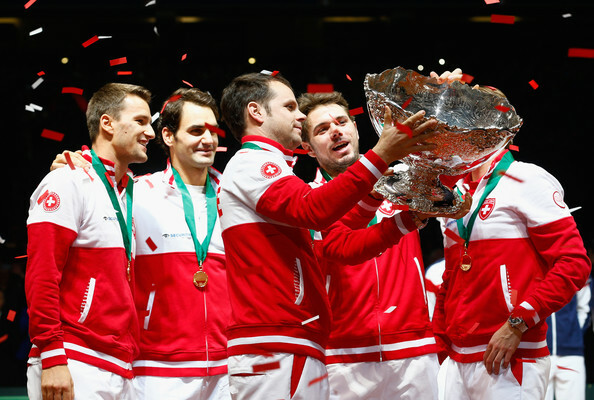 Federer also paid tribute to Stan Wawrinka, "Stan has put in so much effort over the years and he played an unbelievable weekend and that is what gave me the opportunity today," added Federer. 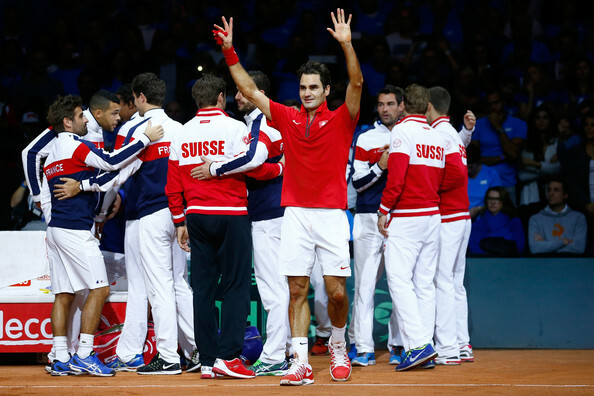 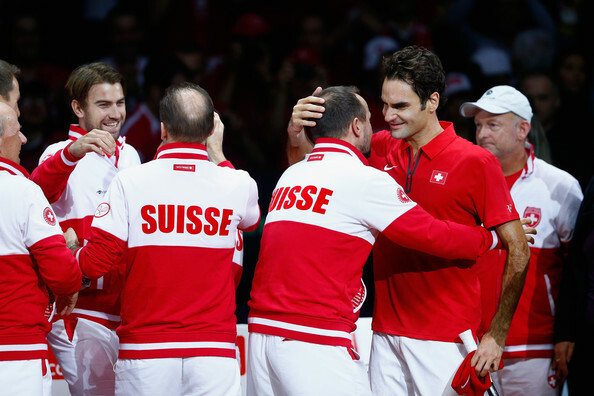 Both the captains decided to cancel the 5th dead rubber and Team Switzerland won the tie 3-1. 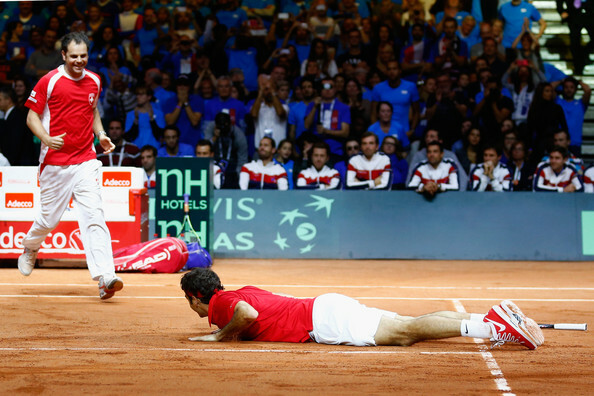 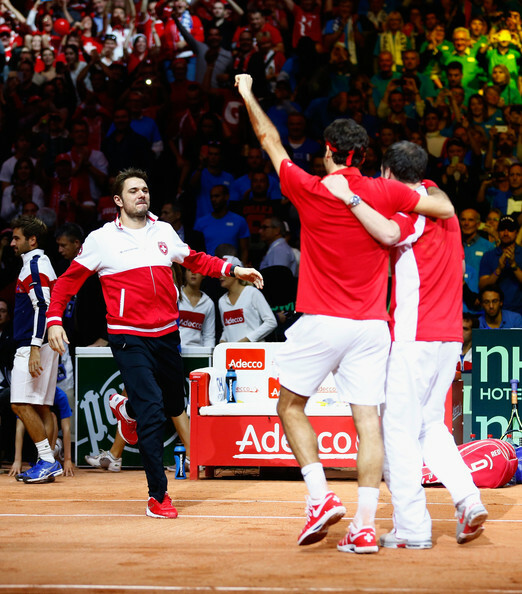 Scroll down for more pics, insights, video highlights from the match and the Davis Cup Final. 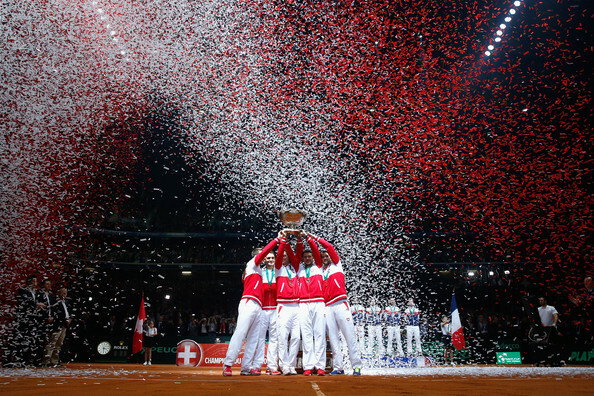 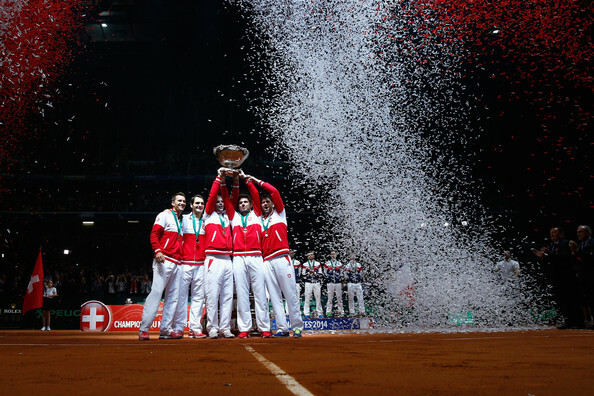 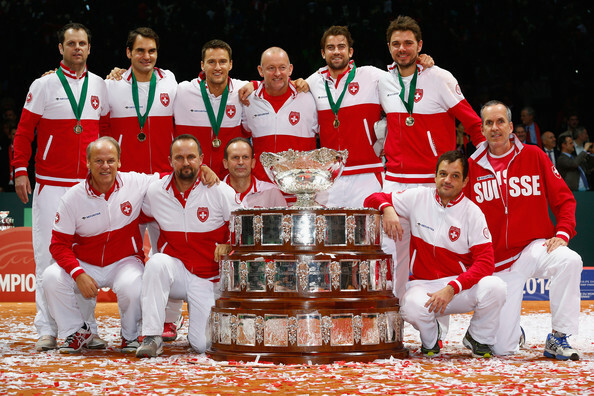 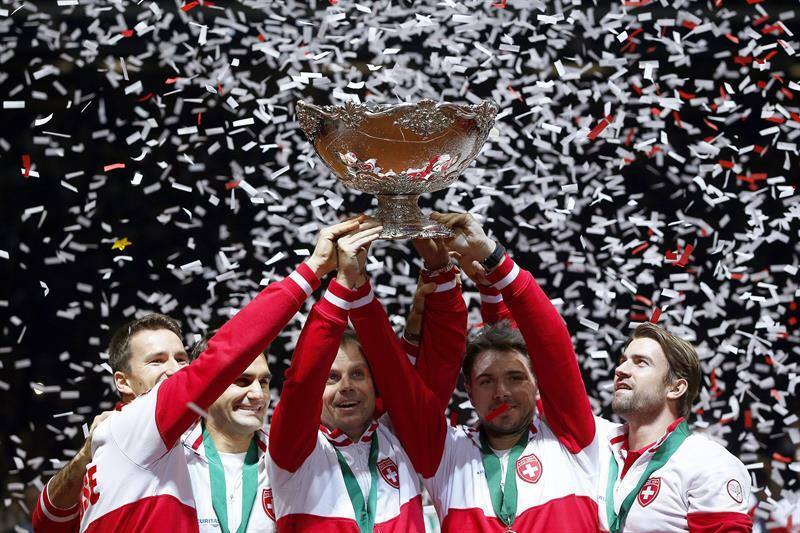 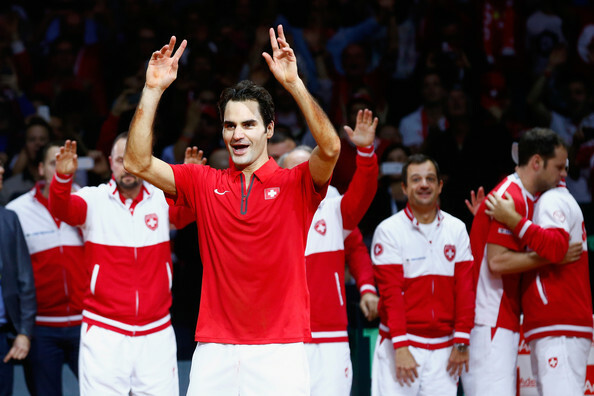 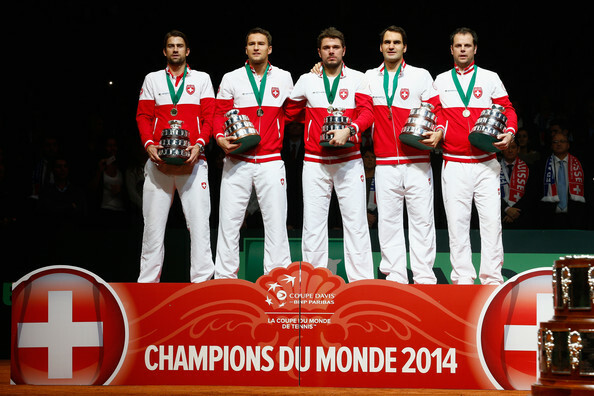 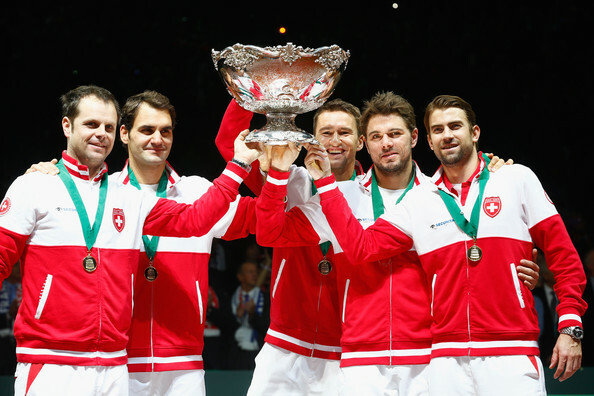 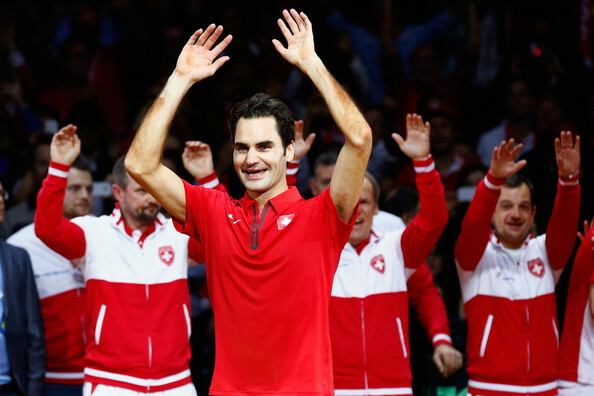 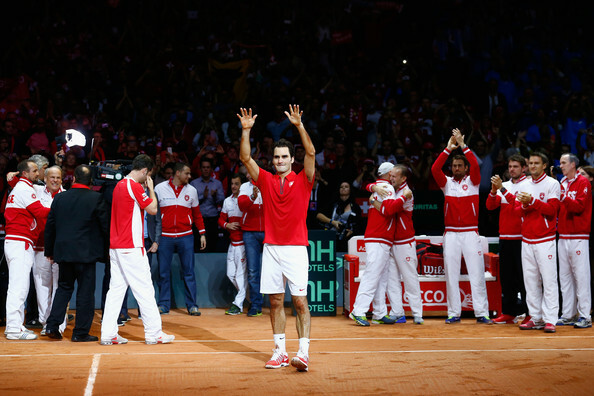 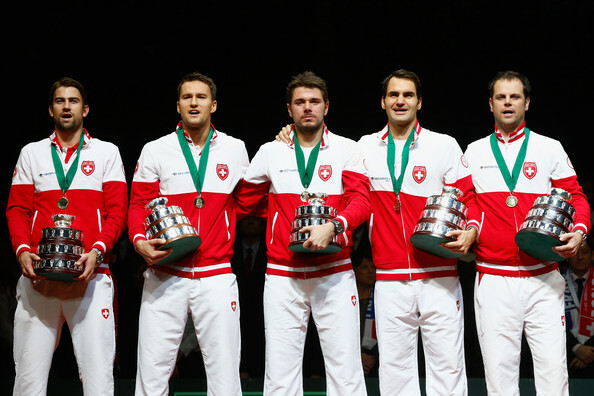 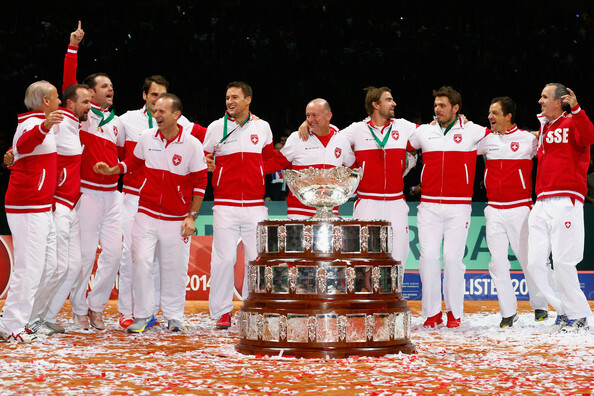 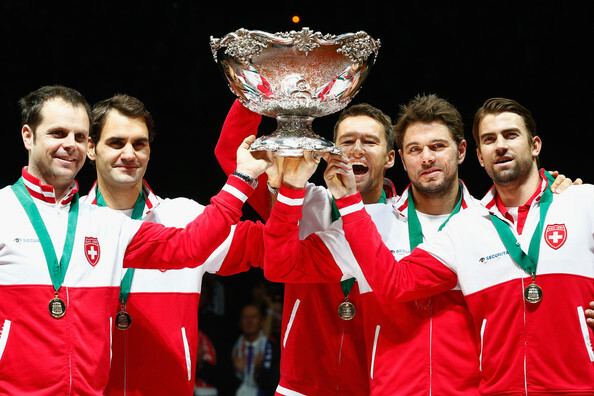 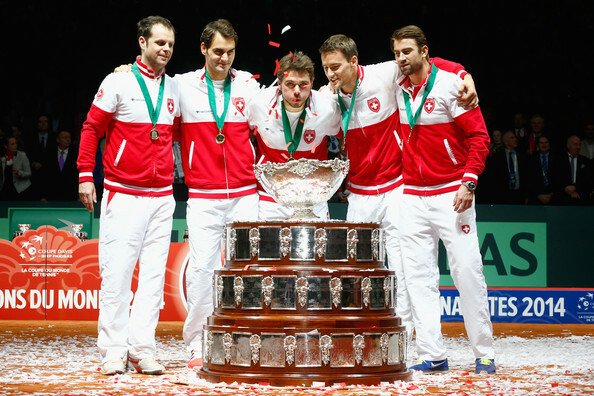 Congratulations to the Swiss Team ~ Davis Cup winners 2014! 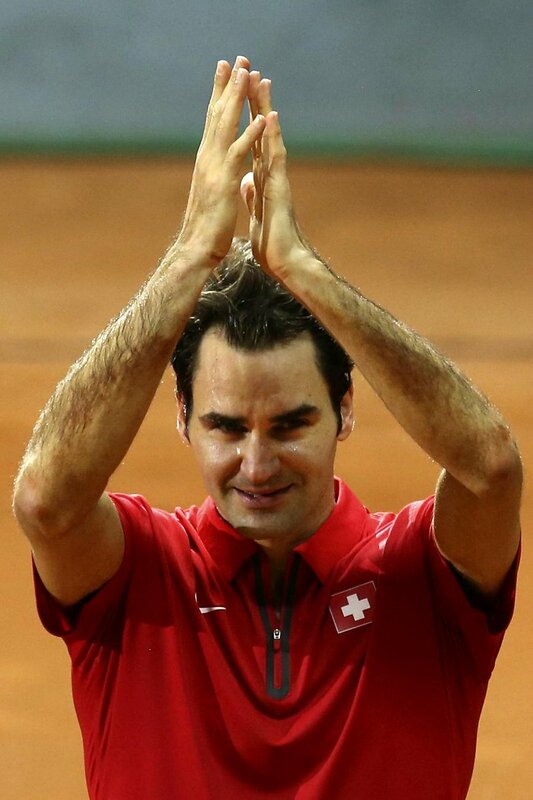 Great to see tears of happiness from Roger today after all that has happened in the last week. 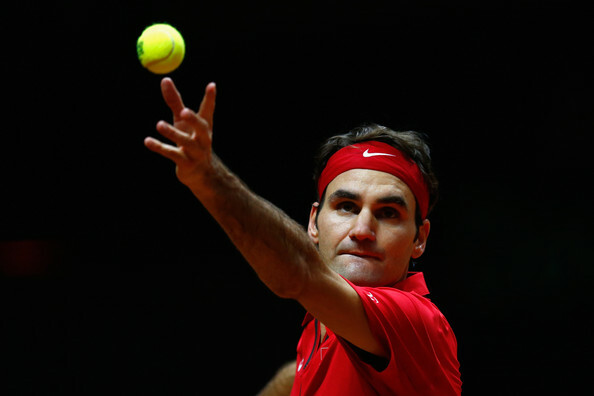 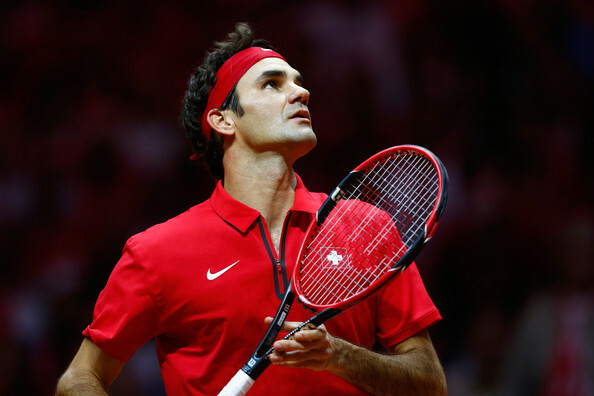 The pressure was on as Roger Federer stepped onto the court today. 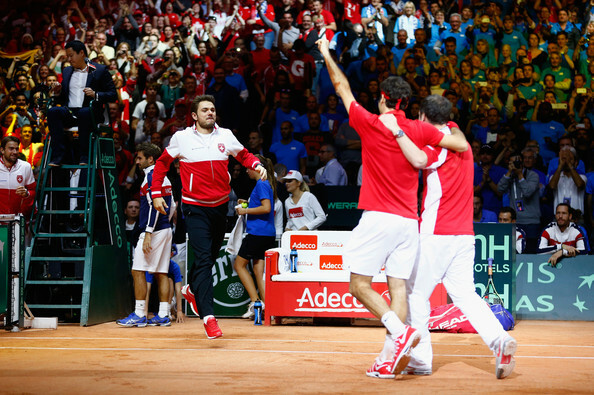 Could he seal the victory for the Swiss, or would that task be passed on to Stan in the final rubber? 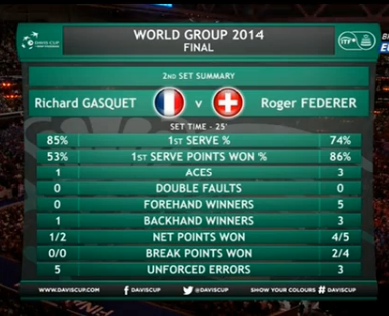 Confidence rose as the match progressed. 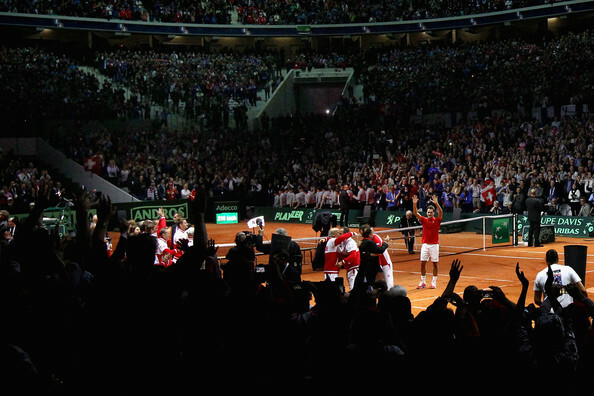 Roger played well, he was aggressive, served with confidence and remained outwardly calm despite the baying crowd. 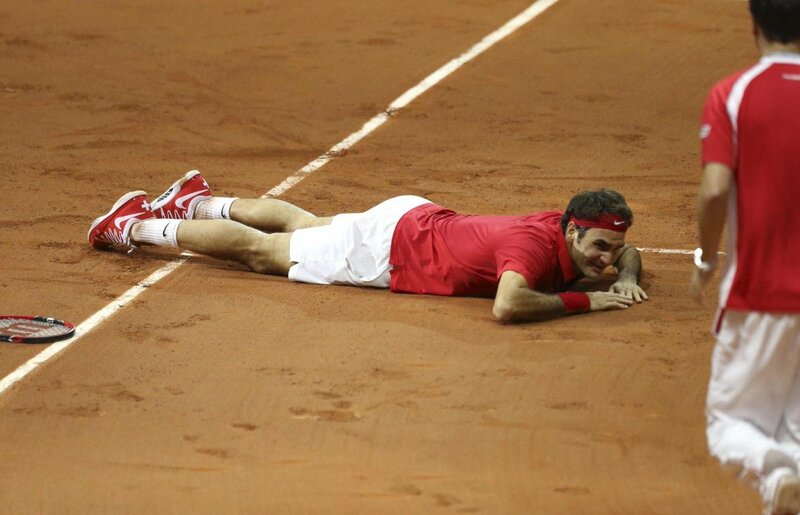 I was perturbed by the booing, especially in the first set but I guess the fans let their passion get the better of them at times. 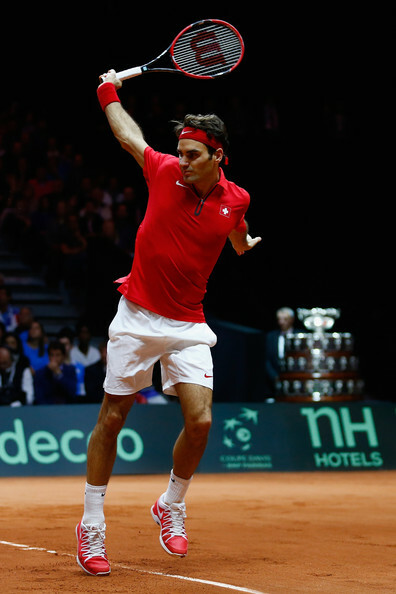 In the end the match point was cheeky flick over the net from Federer. 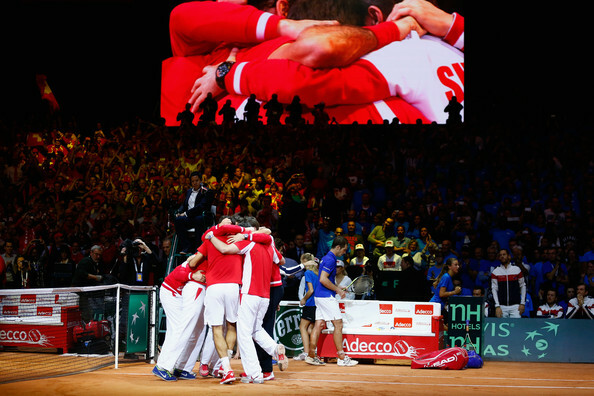 The release of emotion then was totally overwhelming. 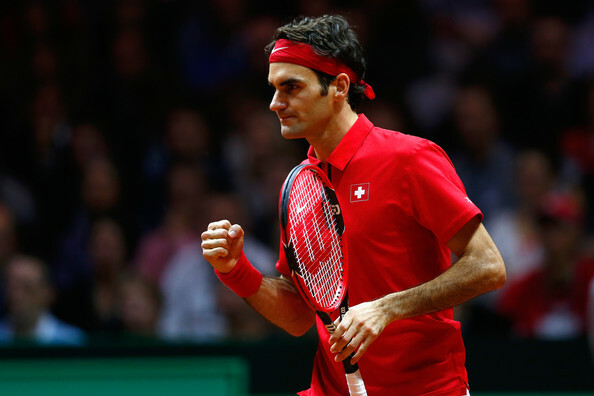 What a performance from the great man. 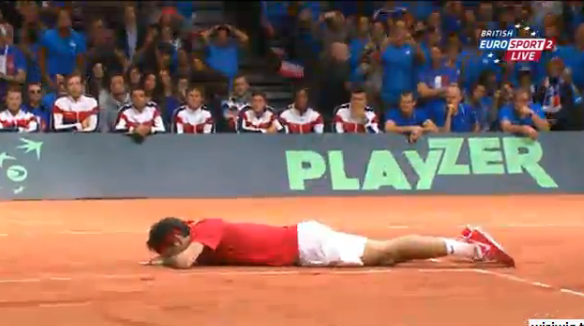 And that drop shot at the end to win it, just fantastic. 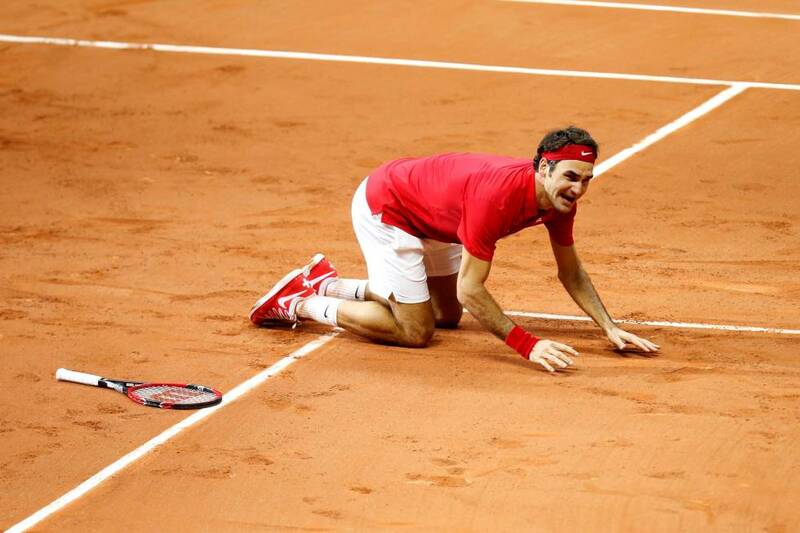 This should put him in great confidence for next season. 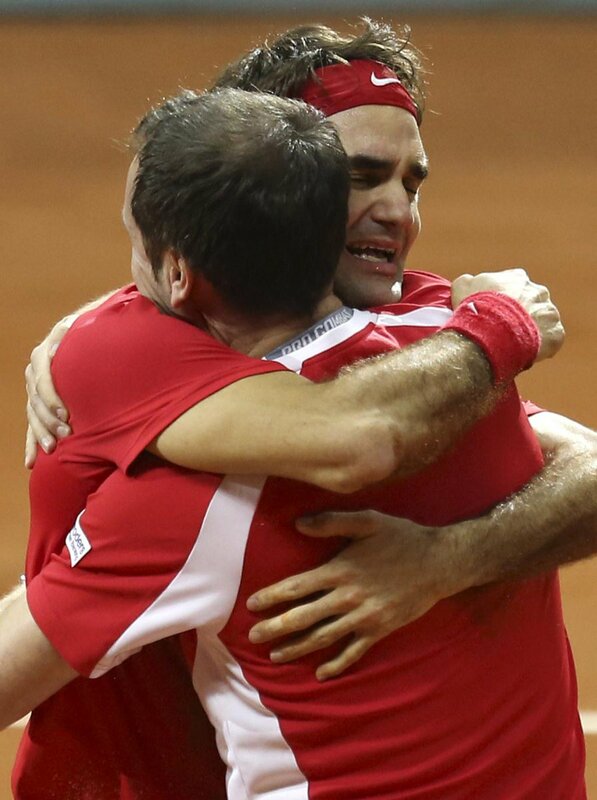 Though, almost every one seems to be giving credit to Stan Wawrinka & Federer for this win, but, according to me the real hero of the victory was Severin Luthi. 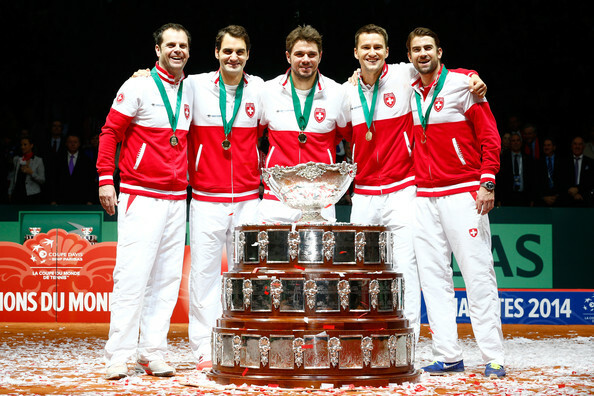 Stan Wawrinka is the 2nd man in the history after Andre AGASSI to win his debut major & then, Davis Cup title in the same year. 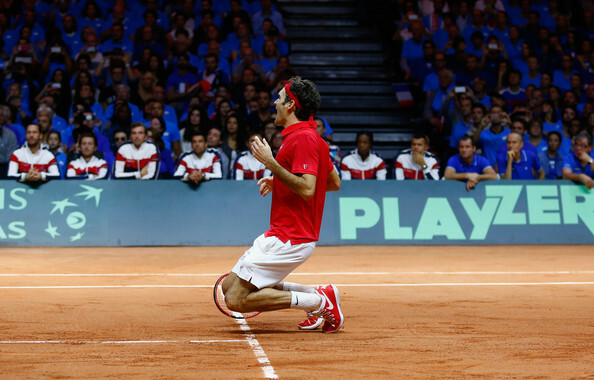 You make a very good point there Vibhu. 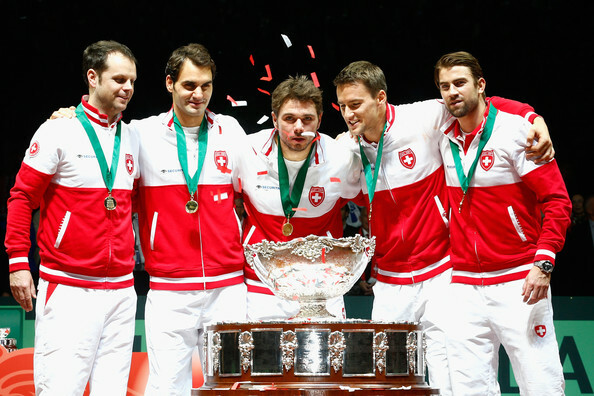 Severin Luthi is the largely unsung hero of this Team. 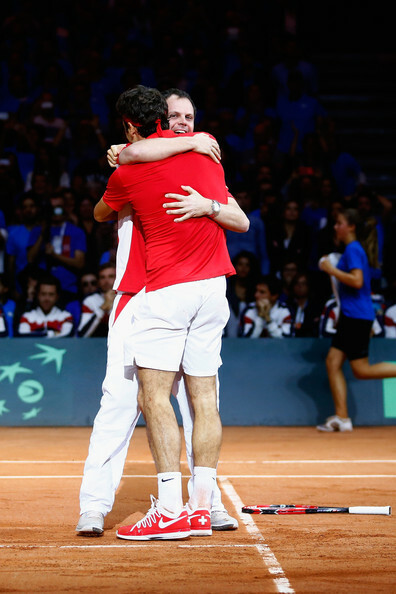 His quiet support, encouragement and excellent planning in arranging for the Bryan Brother's coach, David MacPherson to join the team to advise the doubles partnership, was a stroke of sheer genius! 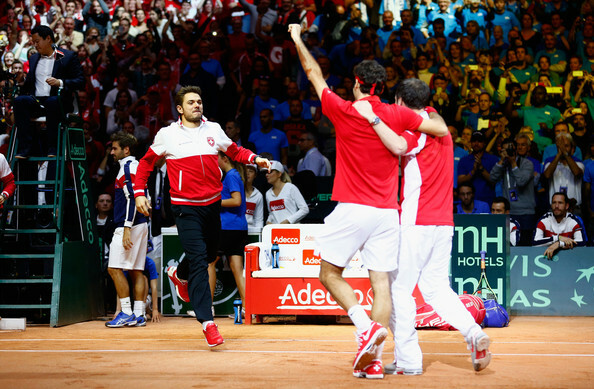 Yes, congratulations to the players for getting the job done on court, but let's not forget Seve! 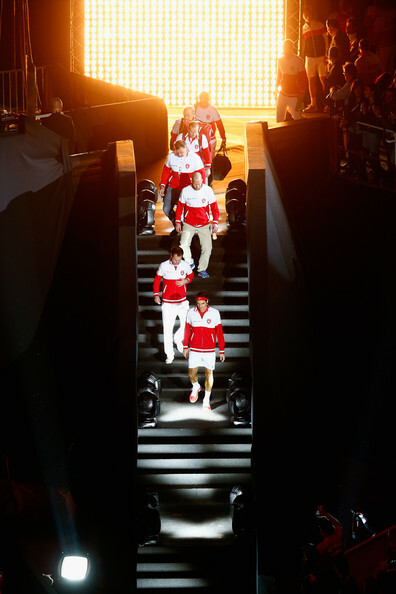 I was lucky enough to be in the arena today. 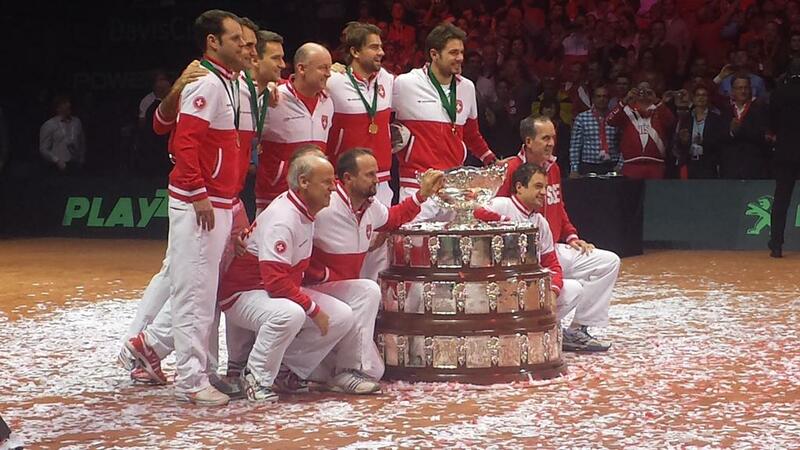 I will upload the pics I took as soon as possible. 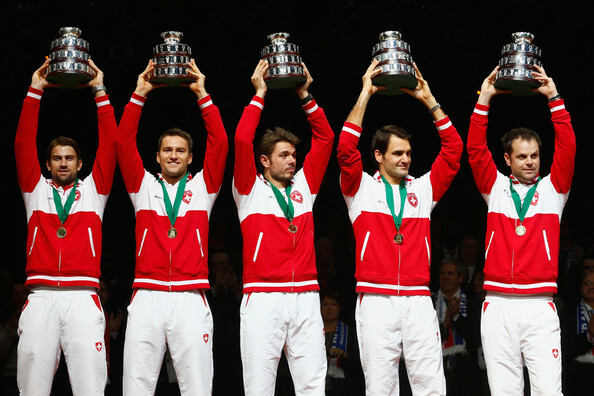 Really look forward to seeing those Oliver. 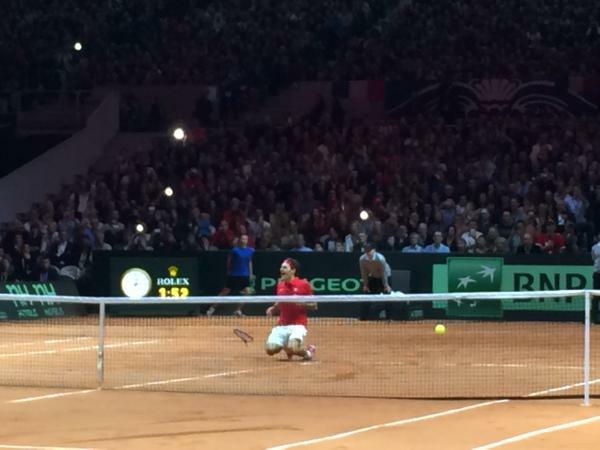 That must have been an incredible experience.